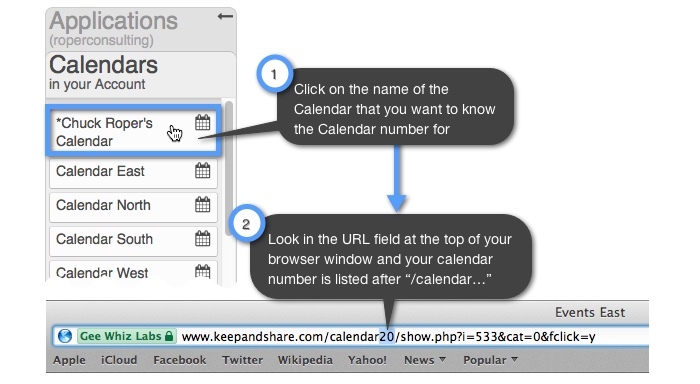 If you feel that you have a firm understanding of Calendar Overlays and how they work, you can also try another set of URL parameters for advanced Calendar Overlay embedding. This set of URL parameters will allow you to choose if your Calendar Overlay is showing when visitors visit your embedded calendar for the first time. In your first website page, you only want the “Events East” Calendar Overlay displayed initially, so you will need to turn off the “Events West” overlay. You will need to copy the embed code for your main calendar (ex. “Acme Events”) that has both the “East Events” and “West Events” on it as Calendar Overlays. Your code will look similar to the code below with the added URL parameter highlighted in yellow. As you can see, the second Calendar Overlay for “Events West” is still part of the calendar, but it is turned off. Visitors to your calendar will have the option of turning that overlay back on. Note: this parameter is “sticky” through a browser session. That means if your visitors are not viewing your calendar for the first time, the URL parameters of one calendar may override the other. Regardless, both of your overlays will still be available to that calendar.